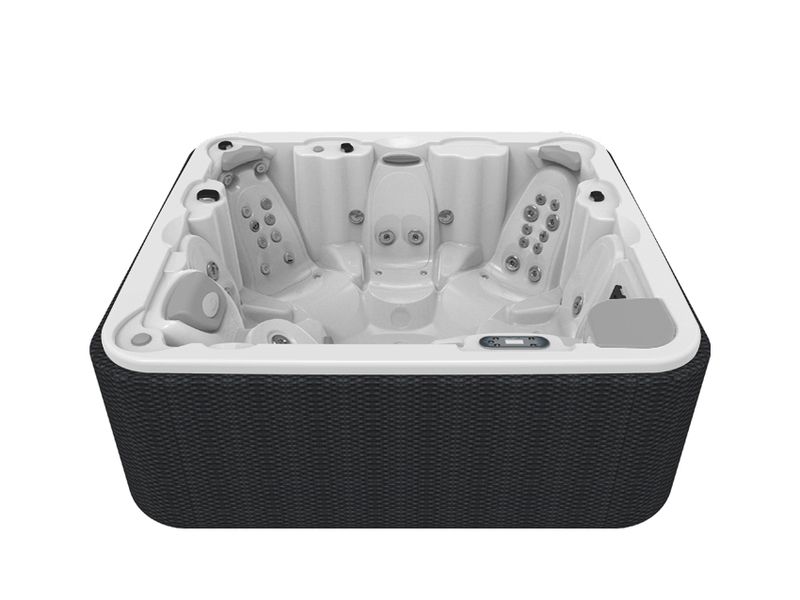 The Spa Futura 40 is the most popular Aquavia Spa hot tub for residential use, and a top seller due to its versatility, great features and large capacity: 6 people, with one spectacular lounger and 5 comfortable seats in a semi-circular arrangement to turn the hydromassage into a social occasion. It is a hot tub with excellent interior and exterior design, with thoroughly studied ergonomics and a perfect layout of the 44 hydrotherapy massage jets and 10 pressurised hot air jets. 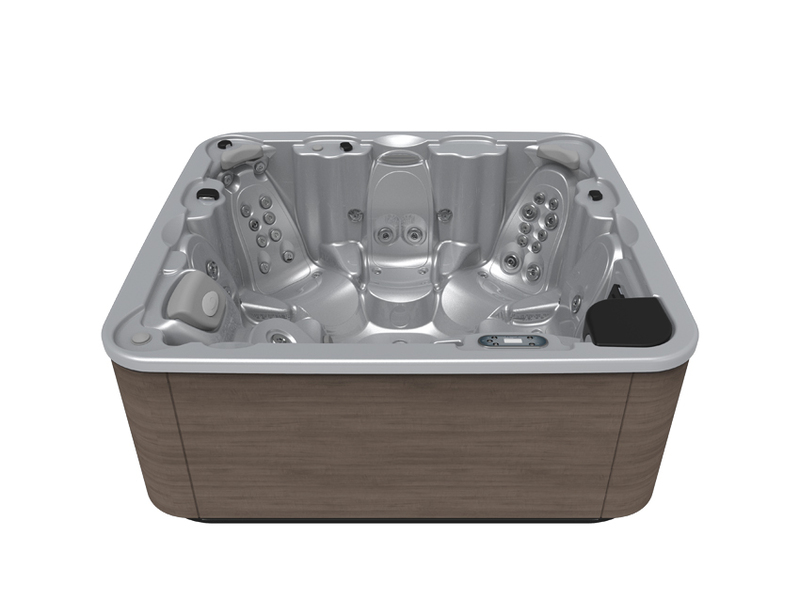 With a total of 4 separate pumps (2 for water jets, 1 for air bubbles, 1 for ultrasilent filtration), the Futura 40 is a hydromassage tub with great power and versatility, ideal to enjoy as a group or for a one-person complete massage circuit (lipo action, relaxation, muscle de-stress, relief) with the correct rotation between seating positions. You can regulate the massage intensity manually. This is achieved through its chromotherapy system’s underwater LED spotlight and lit accessories, whereby you control the colour at all times. 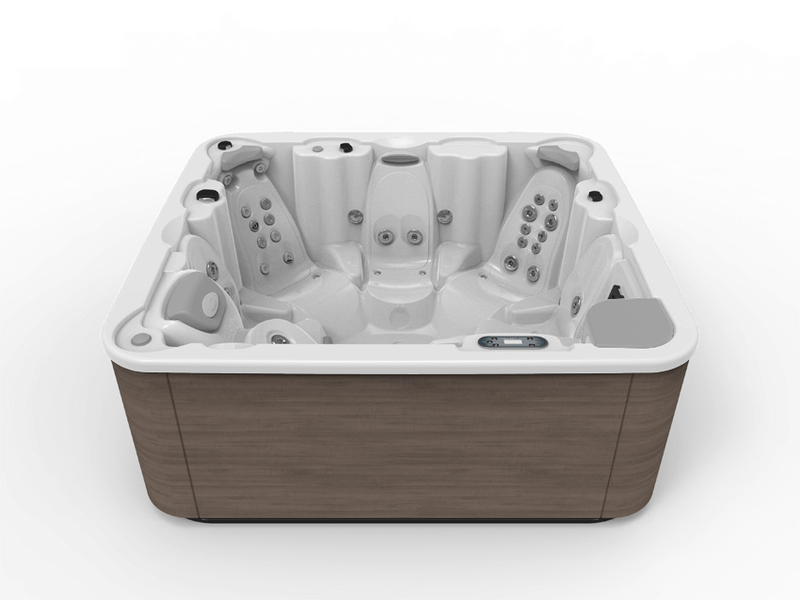 With the option of adding the Colour Sense chromotherapy system with 5 underwater LED spotlights and alternating colour sequences (with or without transitions) to evoke unique sensations while you enjoy the water. With Pure Line Lighting to synchronise the lighting sequences with the exterior lights on the cabinet. 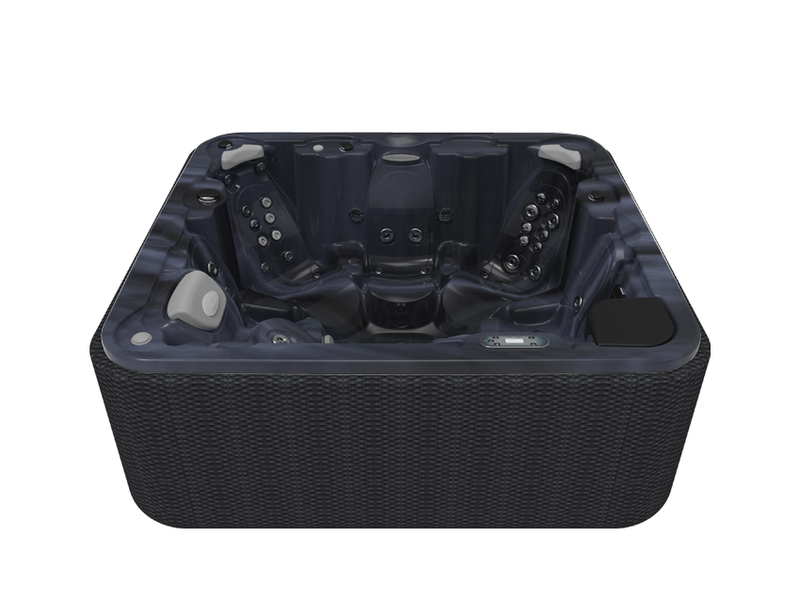 With the incredible Surround Bluetooth Audio surround sound controlled from any mobile device, (4 powerful speakers with great sound quality and one subwoofer). 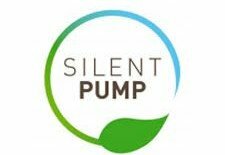 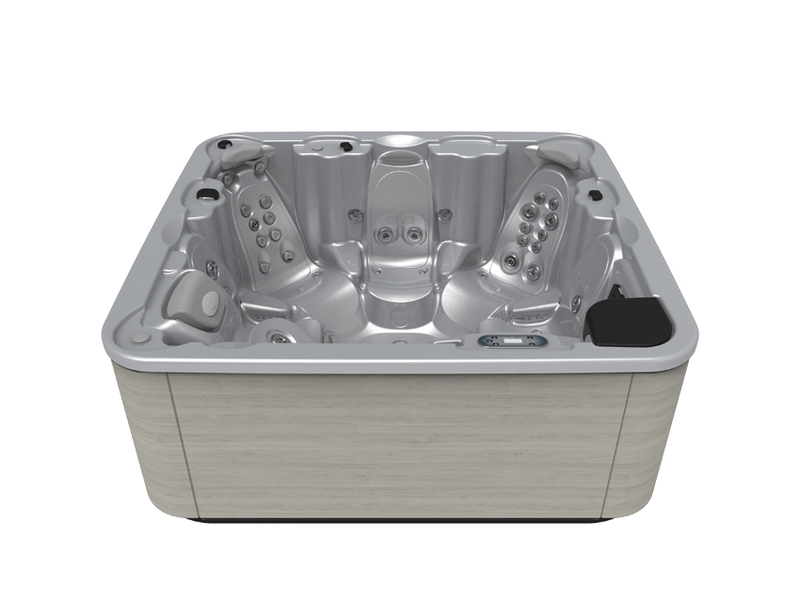 It is a highly energy efficient spa in the EcoSpa category, with energy savings of 69% when maintaining the heat of the water. 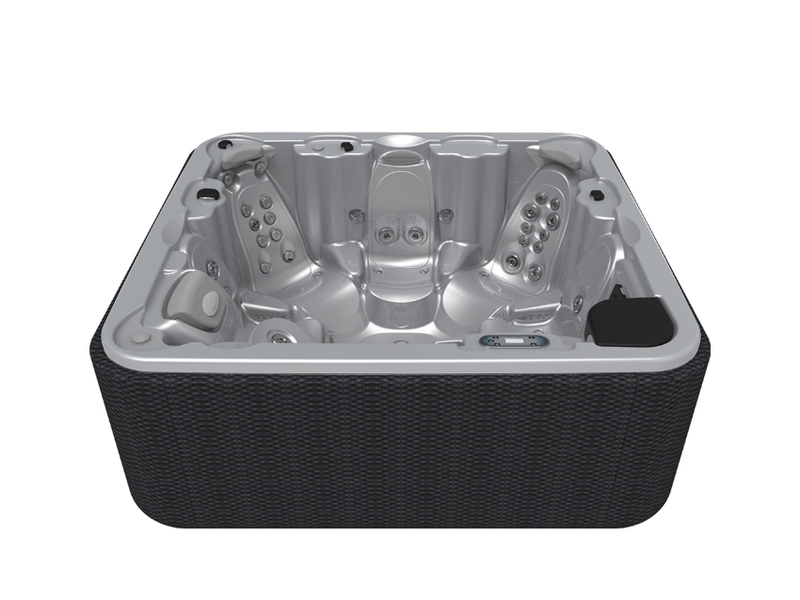 As it is a spa that can be easily installed outdoors (it can also be built into the ground or covered in any surface), the thermal insulation can be supplemented with the Nordic Insulation System: 80% savings to maintain the water at 38ºC even in extreme outdoor conditions of up to -15ºC. 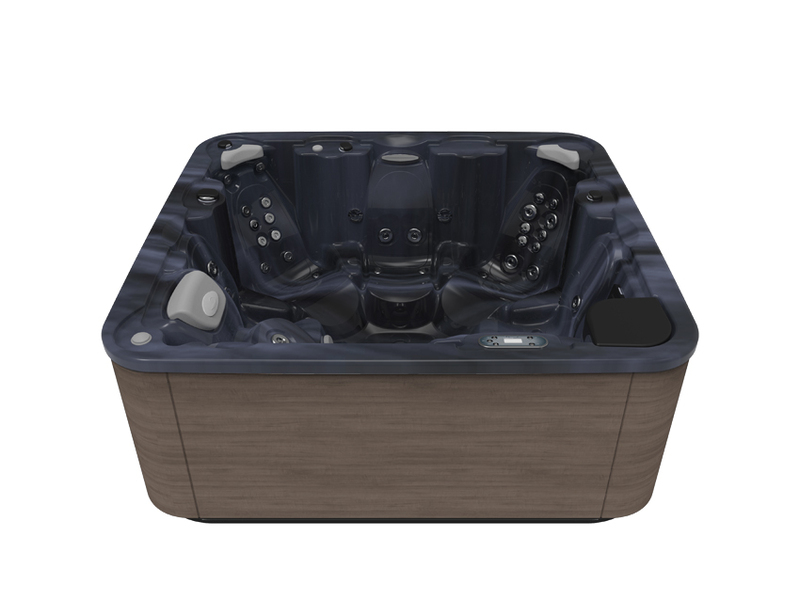 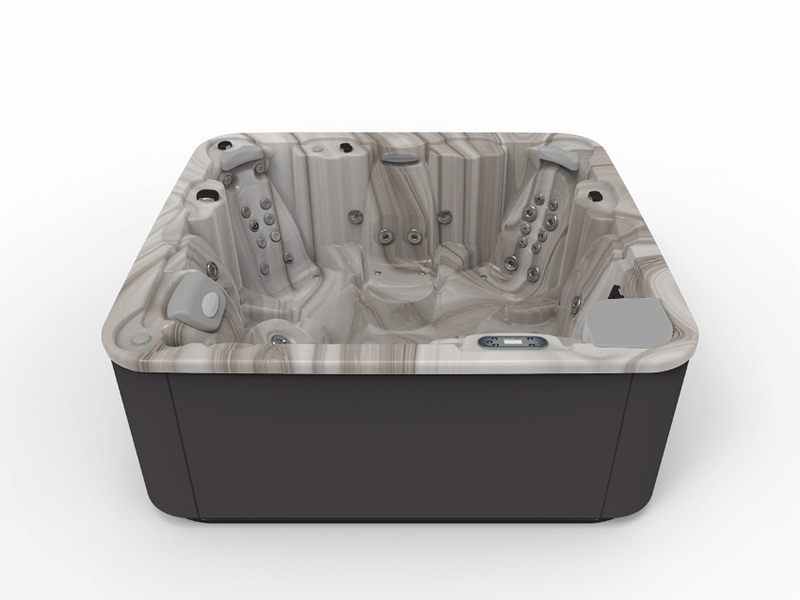 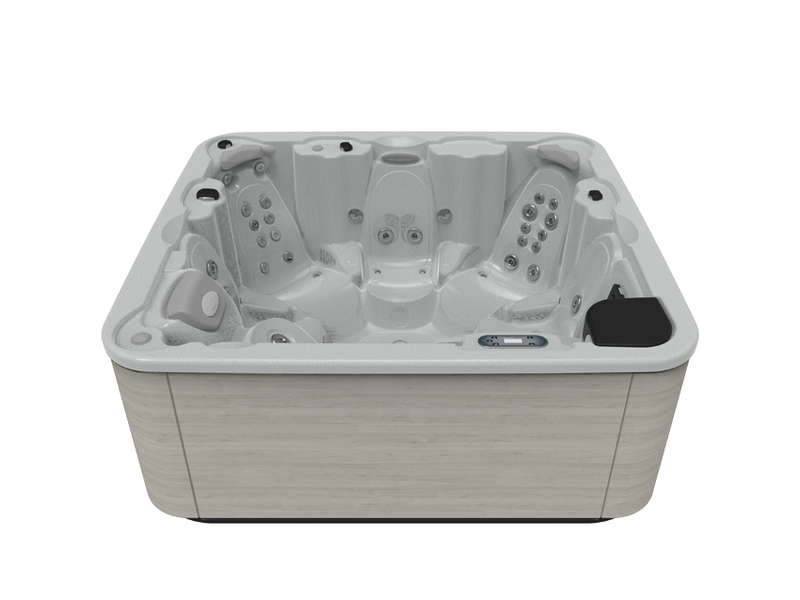 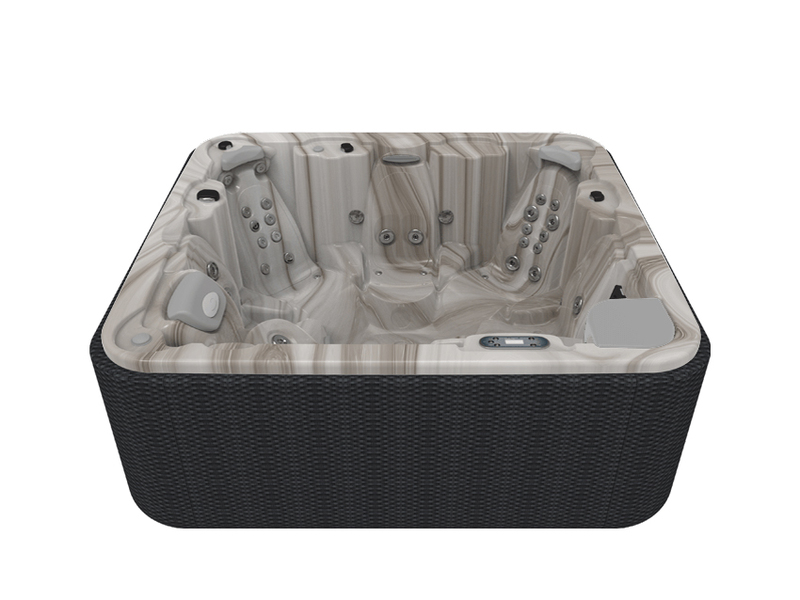 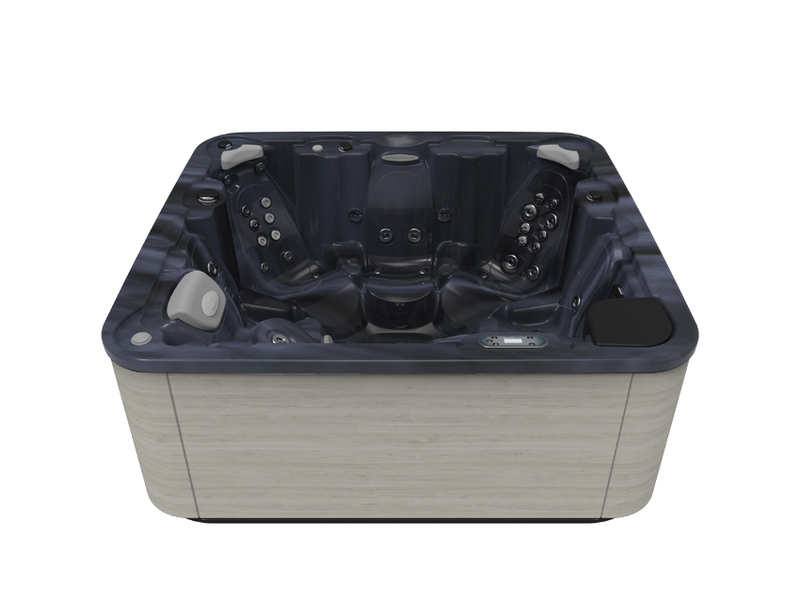 In addition to these features, all of the exclusive Aquavia Spa options are available for all hot tubs in the Premium collection, so the extra quality you’re looking for in a domestic hydromassage tub is guaranteed with this fantastic and spacious model. The combination of sensations is unbeatable, regardless of the type of use, the moment or the needs of its users. 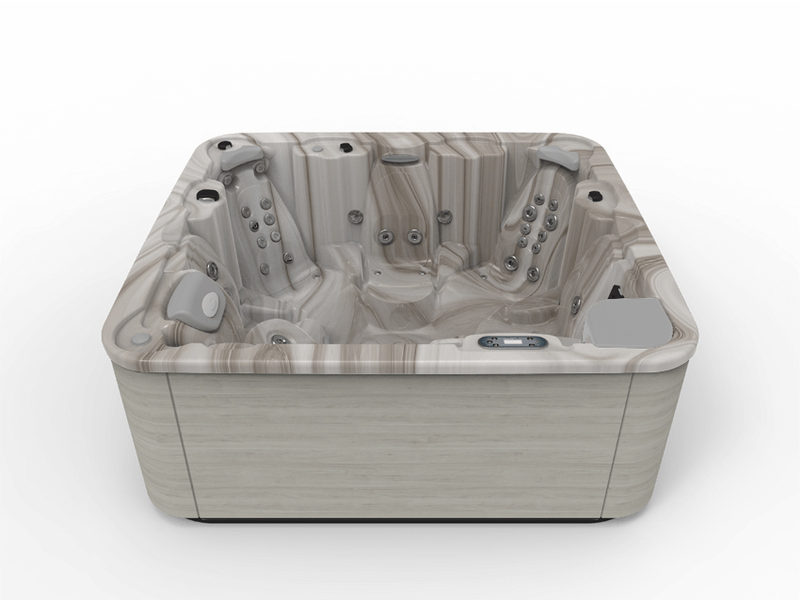 Each moment is unique and with the Spa Futura 40, you will be ready for anything.